Stephen Curry is the latest modern-day sports superstar to have a series on his personal life by “Tom vs. Time” director Gotham Chopra. 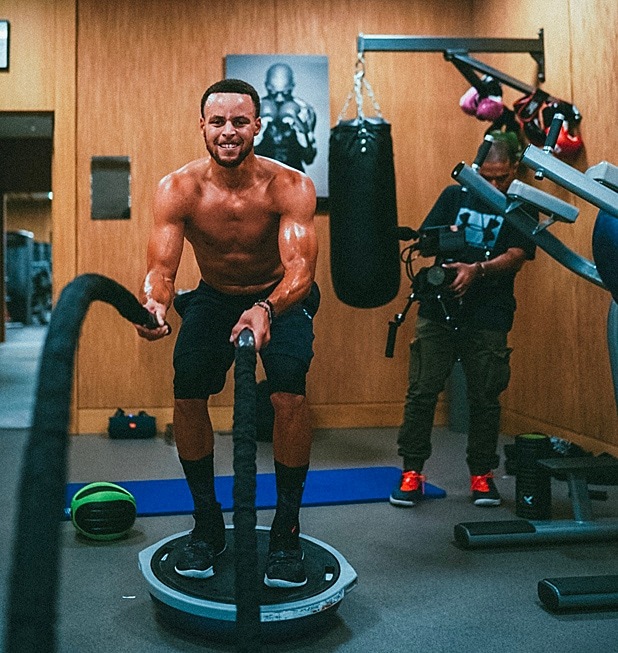 The three-time NBA champion is the subject of the latest Facebook Watch series, “Stephen vs. the Game,” which chronicles the Golden State Warriors star’s journey throughout the 2018-19 NBA season. It is set to premiere later this spring. “This past year has been an incredible chapter in my life — from the birth of my first son to winning a third championship — and we’ve been capturing it all,” Curry said in a statement on Monday. “This series is deeply personal, providing an in-depth look into the pivotal moments from the last year and exploring everything that is important to me. “It’s been a fun project to work on with my Unanimous team and Facebook. I have incredible fans, and I’m excited to share my life with them in a way I never really have before,” he added. “Stephen vs. the Game” is executive produced by Unanimous Media and Religion of Sports, and directed by Chopra. Following “Tom vs. Time,” which featured Tom Brady’s life showcased in the same manner, the series marks the second installment in the Facebook Watch VS series, which aims to explore the personal motivations that drive some of the world’s most accomplished athletes. “Stephen vs The Game” delivers an unprecedented look into the life of Curry, a transcendent athlete who, through unprecedented three-point shooting and unbridled joy for the sport, is reinventing the way basketball is played. The series will explore what drives him on and off the court, including his family, faith, personal passions, and legendary work ethic — all of which have helped him become one of the most revered athletes in the world. The doc will also include never-before-seen childhood footage of Curry and behind-the-scenes footage from his 2018 NBA championship run. “Stephen has an amazing story that should really resonate with the Facebook community, which makes him the perfect next subject for our VS series,” Chopra said. Despite being sidelined for 11 straight games earlier in the season with a groin injury, Curry is heading into his sixth NBA All-Star game in Charlotte, North Carolina, this Sunday. 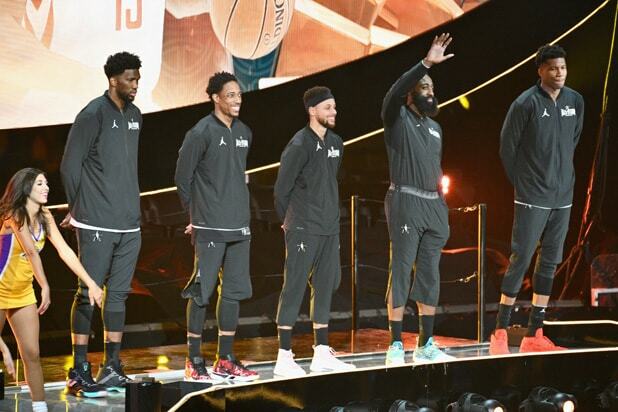 NBA All-Star weekend is always a splashy affair but when it’s located in Los Angeles, it attracts a slew of entertainment and sports A-listers who didn’t have to travel far to party with pro basketball’s finest. Click through for the scoop on this year’s hottest parties and coolest appearances (photos are in chronological order). The biggest man in basketball (in every way), Shaquille O’Neal proved he is the real king of the NBA when he took to the throne at the American Express Experience on Thursday. AMEX’s intimate pop-up just outside of L.A. Live offered guests a multi-sensory journey of basketball through interactive rooms and instillations such as the Lakers Vault, a room of 18 handmade Chandelier Hoops and a walkway of Exploded Floorboards. The LED-lighted Neon Backboards created a surreal — and very cool — look at a pro basketball court ahead of Sunday’s All-Star Game. The AMEX Experience delivered up twice as much of Maria Menonous as the SiriusXM host and “AMEX Ambassador” made fun Insta stories from the interactive displays. All-Star weekend isn’t all about parties. The NBA also took advantage of having its most influential players in one place to give back to the community by having Kyrie Irving, Draymond Green and Swin Cash visit kids and their families at Children’s Hospital L.A.
What’s better than having Boston Celtics point guard Kyrie Irving read you “Star Wars” stories? Nothing. The man of the night, Andre Drummond, hung out with Pittsburgh Steelers running back Le’Veon Bell at the “Let It Fly” event to raise money and awareness for the Precious Dreams Foundation on Thursday night, which was co-hosted by Johnny Stephene (a.k.a. Dribble2Much). Former L.A. Laker Carlos Boozer caught up with another ex-NBA player and undisputedly the best-dressed person at the Let It Fly party — thanks to his pink satin jacket — Jack McClinton. Who wouldn’t want to sleep with — we mean ON — Steph Curry? Let It Fly party sponsors Active Dreamers make that dream come true with their line of bedding featuring top NBA stars. Before you call bias, they had a LeBron James bed at the party too! “Property Brothers” siblings Jonathan Scott and Drew Scott hammed it up for the cameras at the Celebrity Game Friday. While Jonathan wasn’t playing this year, Drew made up for it by scoring a spot on the winning Clippers team under Katie Nolan. ESPN’s Jemele Hill kicked off All-Star week in Hollywood on Thursday night at the “UNINTERRUPTED” party at Avenue Los Angeles, which was presented by Remy Martin. Jamie Foxx had to man up at Jack Daniels’ “Blame it on the Game” party as he did shots with Guy Fieri. The Oscar winner also got to shoot hoops as he hosted the whiskey-fueled VIP bash on All-Star Saturday. Lamar put on quite the show, singing his hits including “Humble,” “Swimming Pools,” “Love,” “M.A.A.D. City” and “Money Trees.” Easy to spot in the crowd in the VIP section was TNT analyst “Sir Charles” Barkley — who was an NBA All-Star a whopping 11 times during his career. While “Black Panther” was blowing up the box office this weekend, Chadwick Boseman was blowing up the NBA party scene. Marvel’s latest breakout star actor was the man everyone wanted to see at GQ’s effortlessly-stylish party at the NoMad Hotel in downtown L.A.
Tristan Thompson and Khloe Kardashian proved “The Game Is Everything” by attending a VIP dinner at Beauty and Essex Saturday night. Other famous diners included LeBron James, Jessie Williams and Kevin Hart, no doubt enjoying cocktails from Rémy Martin and a tasting of their LOUIS XIII.